It is our goal to provide up-to-date and accurate information. Whenever possible, we do our best to provide the source of any research data related to health, nutrition and behavioral science that we refer to in our articles. If you find any information in an article is incorrect or has become invalidated by new findings published within the scientific community which has not been corporate funded to conduct the research (conflict of interest), please let us know by using our contact form so that we can properly update the information on our website. 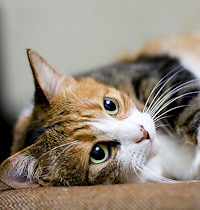 YayCats.com hopes to highlight and bring attention to leading, innovative pet products and report pet health research breakthroughs. We are not interested in fear-mongering, exaggerating, sensationalizing or dramatizing news within the industry to gain readership, but to provide knowledge from a standpoint that offers factual information to you, from trusted sources, to empower pet owners to make an informed decision as advocates for their pets. YayCats.com is an independent blog magazine and is not associated with personal user accounts sharing the yaycats name on social networks, sales outlets or forums. Follow us on FaceBook, Google+ and Twitter.